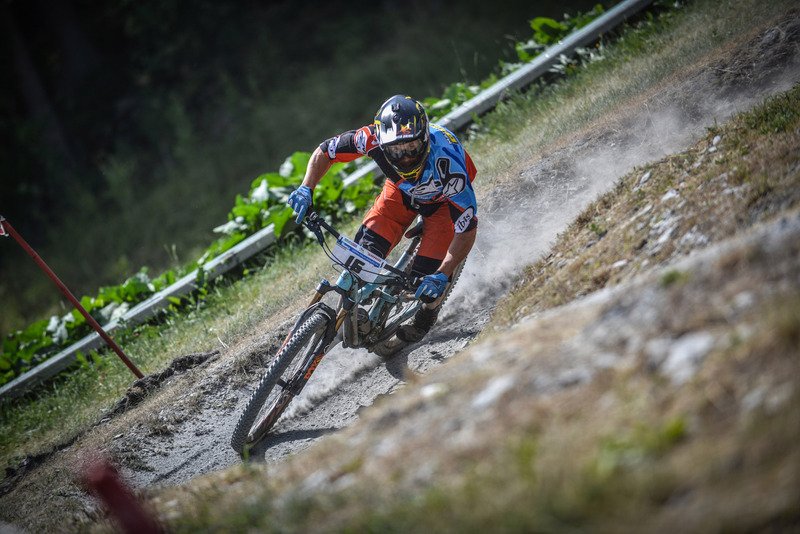 Last weekend was the fourth leg of the Italian Cup in La Thuile, famous for its mountain trails and natural tracks characterized by steep gradients that lend themselves perfectly to a high level enduro race, the same location hosted one of the most beautiful rounds of the Enduro World Series last year. 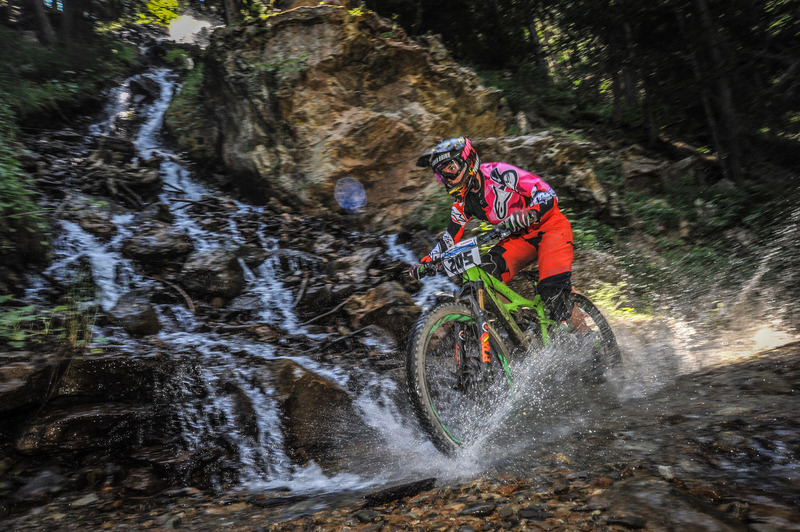 The race was held over two days, with six special stages, all very long and physical, characterized by unbelievable dust, unlike last year where riders faced temperatures approaching freezing. On this occasion the riders were lucky, with very great weather conditions that meant everyone enjoyed more sun and summer conditions. The Life Cycle team riders have always loved the trails of La Thuile, so they decided to spend a few more days there to train and practice both on the race tracks and the new trails of the bike park. Because of drought conditions, the tracks proved treacherous, despite Manuel and Valentina being used to training in very dry and dusty conditions back home in Sanremo. 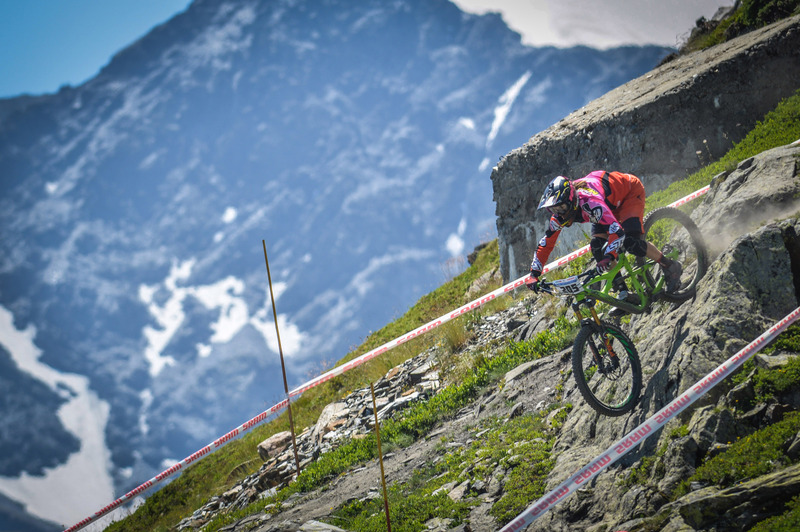 The standard of participants in this event was very high, thanks to its geographical location making it convenient for many athletes from different countries and the next round of the EWS being in Samoens, only 2 hours from La Thuile. Our athletes were lucky to be able to compare themselves with many top riders from around the world. Manuel finished in twelfth place overall with a puncture in one of the longer stages and Valentina ended her race with a good seventh place, behind the foreign riders, making her first among the Italian athletes. I enjoy it here in La Thuile more each time, the scenery and the countless number of tracks, they bring me a feeling so positive that I would quite happily stop and session every turn! I am pleased at how the race went, I feel more motivated and determined to regain my form. Coming back from injury, I suffered a bit with the length of the trails, and found myself failing to maintain the initial rhythm that I was trying to force myself into at the beginning of the special stages, but it was a great workout for the next EWS in France. I think that La Thuile is my favorite place to ride my Enduro bike, I have a real weakness for the steep tracks and natural trails, and here there is no shortage of them! I really enjoyed both practice and the race, and I look forward to returning already. I’m satisfied with my performance, although I made a few mistakes, I had a good feeling for the whole two days of competition, it was nice to see so many girls compete, there seem to be more and more of us every time! 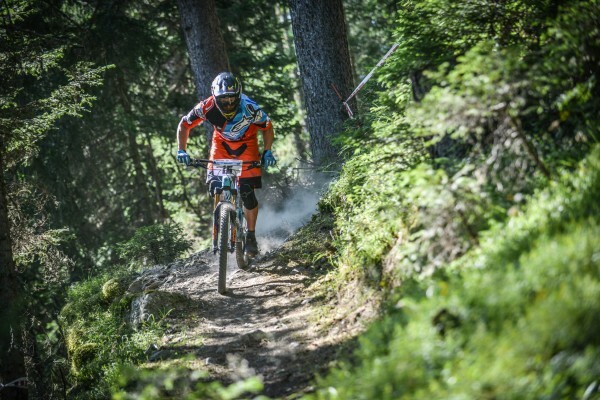 The next event for the team will be in Samoens, France for the fourth round of the Enduro World Series.